Extremely strong security bar made from solid steel bar. Available in five stocked sizes or manufact.. 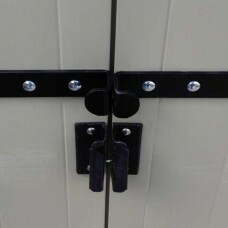 Extremely strong, heavy duty security hasp brackets for use on primarily on double shed doors. An..